That certificate confirms that delivering products have successfully proceed a certification process. It means that they are high quality and meet russian GOST-R standards. Most of the exporting products are a subject of a obligatory certification, otherwise will not drive in to the boundary and will not be admitted for trade. GOST-R certificate, different from ISO 9000, is issued on particular products or each models, not on whole plant. GOST-R Certificate is required not only for imported product, but also for goods produced in Russia. Certificate can by issued for serial production with validity term of 1 or 3 years, or for a single delivery. 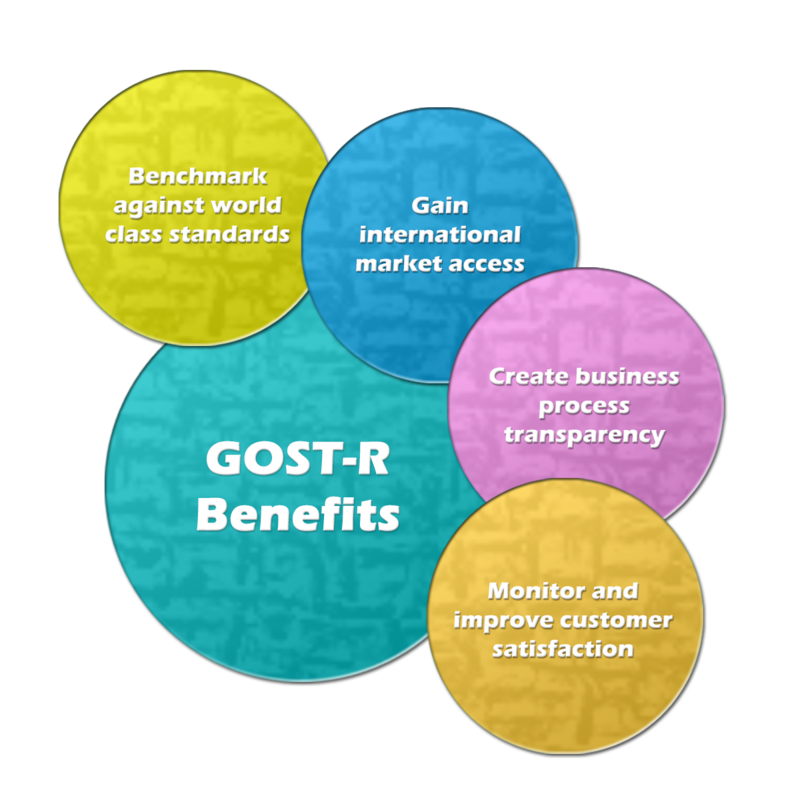 GOST-R certificate is a confirmation of authorized units that products meet obligatory requirements. There is a list of products, which have to posses an obligatory certificate GOST-R. That certification is required mainly for the products related to people and environment safety. Obligatory certification guarantee that products are safe and usable. In a case of not receiving obligatory GOST-R certificate, goods will not drive in to the boundary and will not be admitted for trade. These certificates have currently yellow colour. Products, which are not on the list of obligatory certification, can posses a voluntary certification GOST-R. That document is blue. Even though voluntary certificate is not required for customs clearance, exporters and importers usually apply for it to prove high quality of the product. Certificates confirm that production meets Russian standards and technical norms. It means that GOST Certificate is a powerful marketing tool as it increases customer's confidence and reduces import of low quality products. That makes products which are a subject of voluntary certification more competitive.